Our Spirits — PA Distilling Co. In 1776 the cry for liberty tolled for all the world to hear in the city of Philadelphia. That bell toll still resonates today in the land where rye whiskey was born. We invite you to drink our Pennsylvania Liberty Rye Whiskey and find your freedom of expression. Handcrafted in small batches, Pennsylvania Liberty Rye Whiskey is made from all natural ingredients and aged in charred new American oak barrels. This provides a mellowness and balance to the spiciness of the grains, resulting in a whiskey that you can enjoy straight or in your favorite cocktail. Founded in 1682 by William Penn, Philadelphia is known as America's First City. In a place renowned for the crafting of the Declaration of Independence and the Constitution, many remarkable firsts followed. In the spirit of the words written in those great documents, we invite you to pursue your happiness with First City Vodka. To the early settlers the land now known as Pennsylvania was a new frontier and rum was produced in early stills to meet the needs of both the commoner and explorer. While the frontier land was intimidating, some early settlers considered it boundaryless and lived their lives to the fullest. Here's to the prospect of living without boundaries. Handcrafted in small batches, Frontier Explorer’s White Rum is made from all natural ingredients, carefully fermented and distilled the old fashioned way, resulting in a light bodied rum that you can enjoy neat, on the rocks or in your favorite cocktail. Handcrafted in small batches, our Frontier Explorer’s Gold Rum is made from all natural ingredients, carefully fermented and distilled the old fashioned way and rested in charred American oak barrels, resulting in a complex rum that you can enjoy straight or in your favorite cocktail. The seven key figures known as the Founding Fathers of the US changed the world. Their achievements emulate the notion that ideas can inspire transformation. Our Founders Artisan Dry Gin is a wonderful example of transformation. Change your world. Founders Artisan Dry Gin is made from all natural ingredients, carefully fermented and distilled the old fashioned way. Infused with a mix of botanicals including juniper and coriander, this gin is as perfect for cocktails as it is on the rocks with a slice of citrus peel. In 1702 the folks living on Elfreth's Alley, the oldest residential street in America and part of Philadelphia's Old City neighborhood, relaxed with a white whiskey made from rye and other grains. Our Old City White Whiskey is made in the spirit of those artisans, remembering a time when passion was the guiding principle for all things made here. 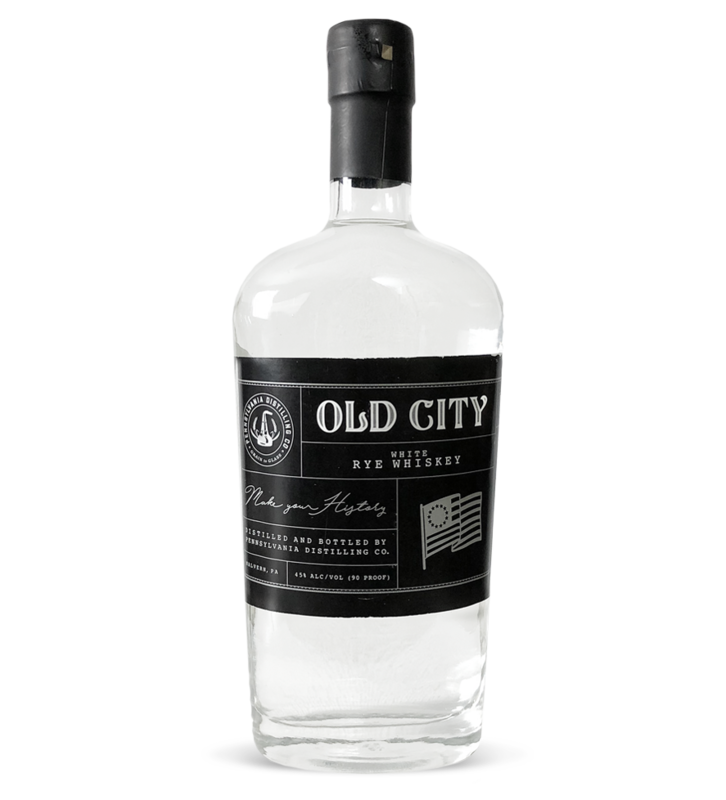 Handcrafted in small batches, Old City White Rye Whiskey is made from all natural ingredients, carefully fermented and distilled the old fashioned way, resulting in a unique whiskey that you can enjoy neat, on the rocks or in your favorite cocktail.